Week 5 fishing derby was a little slow despite the good weather. We have had 116 2lbs and over turned in so far. 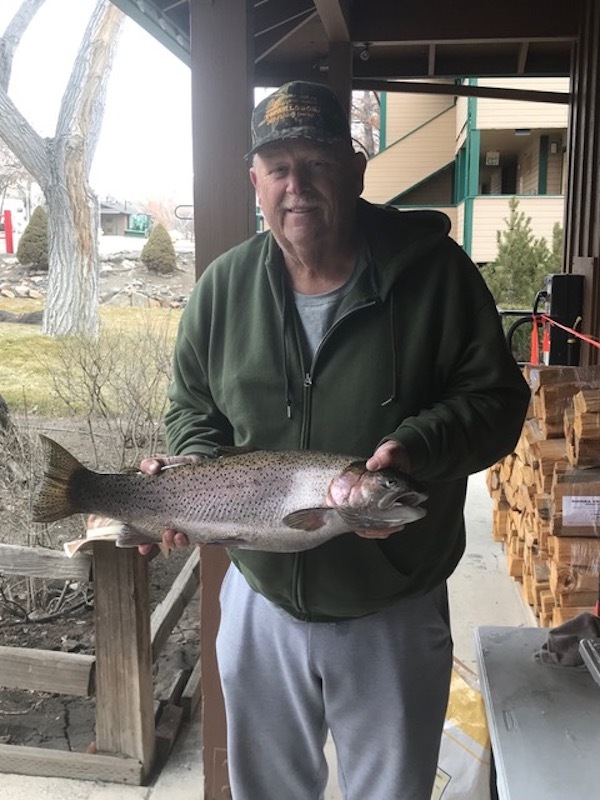 Our biggest fish of the week was Bob Brister of Topaz Ranch Estates with a 9lb 4.8oz 26in rainbow. 2nd Place was Jackie Davis with a 7lb 6.3 27in rainbow. 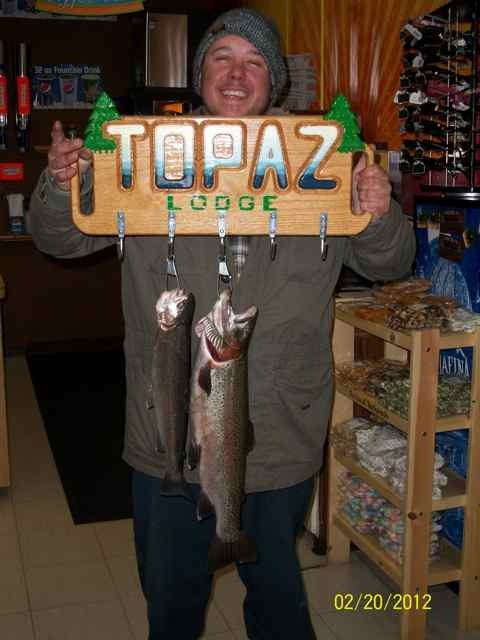 We have been hearing that shore fishing is doing better then boat fishing and power bait and worms are working well.